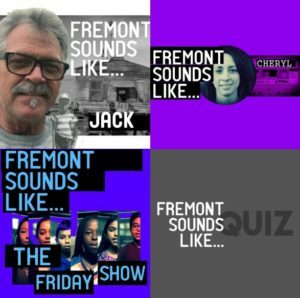 Check out FREMONT SOUNDS LIKE… An oral history and field-recording podcast from the largest suburb in the San Francisco Bay Area. Produced, independently, by Andrew Cavette with support from the museum. For hundreds of years, our area has attracted immigrants from all over the world. Records of Chinese immigrants show up in our local archives at least as early as the 1860s. Stories of the early Chinese immigrants are held in many museums, in archives, and in the personal collections of local families. The Tri-City area has a rich history that is microcosm of our state and national history. This history has been chronicled by members our community but there are many stories that have not yet been told and many who can tell this story are getting older. We propose to conduct an oral history project beginning in December of 2014 and continuing through December of 2015. We will document the lives of the people who lived, worked, and raised their families in Washington Township (Tri-City area) and focus on the years from 1930-the present. These interviews will preserve the memories and reflections of those who lived through these times and to document their family/work history in the Washington Township. The goal is to complete 10 fully catalogued interviews with men and women of various ethnicities in order to get a better picture of how the Great Depression, World War II, post war times and the changes in the community after the cities incorporated and then developed into a completely different community with high tech industry as part of our economy. The interviews will focus on how these changes affected the lives of those interviewed. Interview materials will become part of the collections of the Museum of Local History and shared with the Fremont Main Library, Ohlone College and online through websites and other media. The project will follow the standards of the Oral History Association. There will be a presentation of the results of phase one of the project upon the completion of the first ten interviews. The first phase of the project will focus on the interviews of people who experienced life in Washington Township between the years of 1930-1980. These interviewees will tell about their perspectives of the depression years, WWII, and the post wars through the incorporation of the cities in Washington Township. The second phase of interviews will focus on the changes in the community from 1980 to the present with emphasize the diversity of our population and the change from an agricultural based economy to a high tech economy and how this affected the people, the institutions and the business community. The Museum has thousands of original and scanned images of historical photographs from several collections. Come to the museum to research and request images. Attached is our Image Use Policy with associated charges.